That tops other events from your early years, including your household's financial situation, access to financial education and community's financial state. 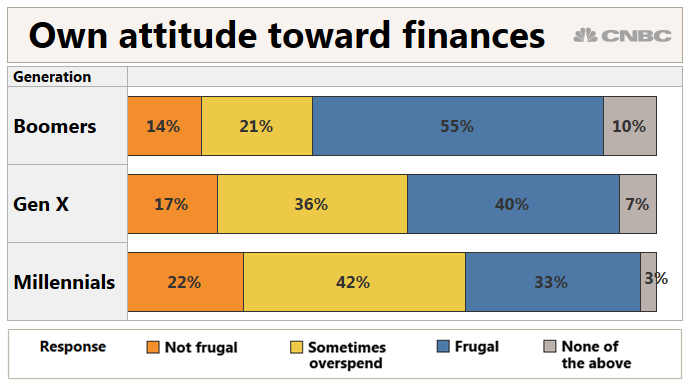 Today,millennials are most likely to admit that they are not frugal with money and are susceptible to overspending. Meanwhile, baby boomers were most likely to say they pinch pennies. "It's not just educating yourself, but creating those habits and that discipline," Bohlsen said. 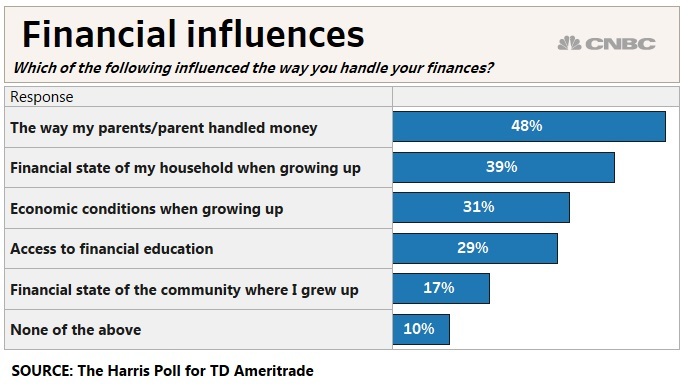 For all generations, it's never too late to set a positive example with healthy savings and investing habits. "Even with adult children, it's not too late to have conversations," Bohlsen said. 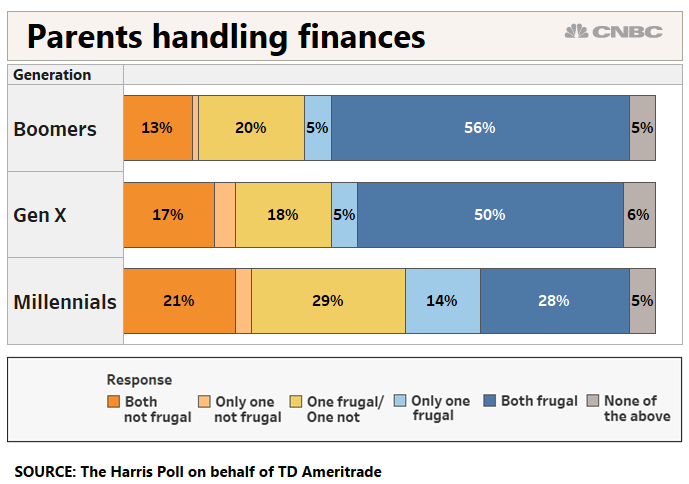 The online survey was conducted in November on TD Ameritrade's behalf by The Harris Poll. It included 1,000 adults ages 22 and up with at least $10,000 in investable assets.